The Authoring Kit is comprised of familiar classroom materials and voice-recorders, an off-the shelf device. 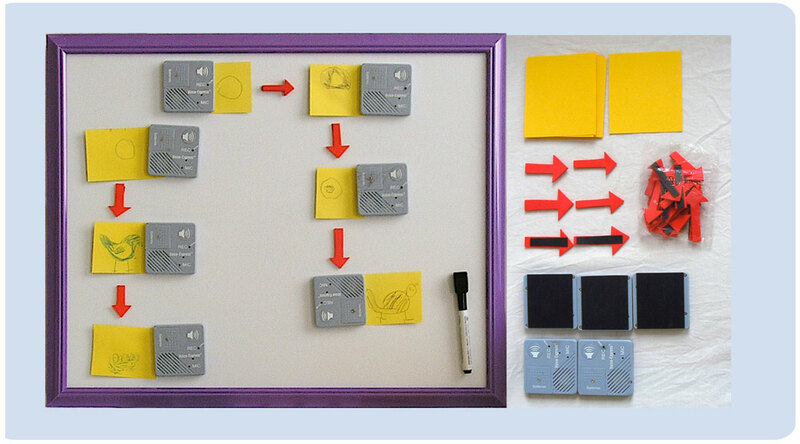 These materials were re-purposed or re-designed to scaffold and enhance children's physical and mental interactions with concept maps during individual and collaborative classroom activities. This research sought to examine Joseph D. Novak’s claim that young children could quickly learn to make concept maps – a knowledge organisation tool that promotes meaningful learning. A theoretical account supporting Novak’s claim is that after age 3 children effectively communicate concepts with verbal language. Drawing from several disciplines(child learning and development plus concept mapping), I argued that concept mapping requires cognitive skills that preschoolers have not yet mastered: concept labelling and organisation with written language and hierarchy. To investigate Novak’s claim, I developed a prototype tool with scaffolding features that enable children to label concepts with verbally-labelled symbols, and enhance their control over concept organisation skills. 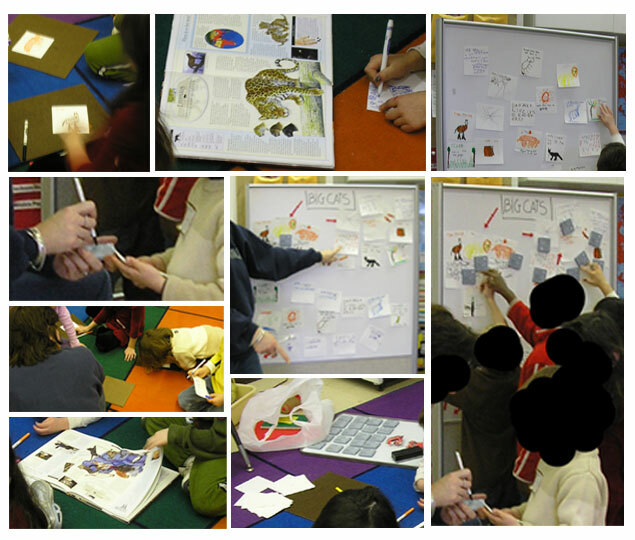 Named the Authoring Concept Mapping Kit, the tool was developed using the Bridging Design Prototype Method, a by-product of this research, which is informed by several user-centred design methods and Ausubel’s constructivist theory of learning. Already tested outside my doctoral research by primary school teachers in the Netherlands (2012 - 2013) and a developmental psychology in the US (2008, 2009), this mapping tool has shown positive and promising outcomes in the promotion of child metacognitive skills and early literacy. Please review the publications below for details. Hoogenberg-Engbers, I. (2013, April). Concept mapping met kleuters / Leren communiceren op papier. Tijdschrift voor Remedial Teaching, 21, 20-24. Cassata-Widera, A. E. (2008) Concept Mapping and Early Literacy: A Promising Crossroads. In Proc. of the Third International Conference on Concept Mapping. van Veen, P. (2014, April). Positieve resultaten met conceptmappen op Mgr. Hanssenschool. VHZ: Van Horen Zeggen, 6-7.